patricia urquiola’s bathtubs for agape draw upon traditional structures in a modern and sophisticated manner. 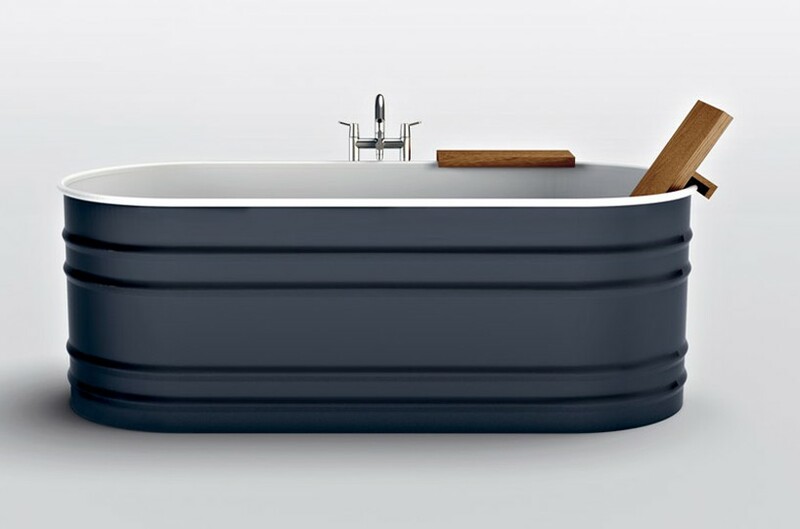 the ‘cuna’ tub is classically understated. 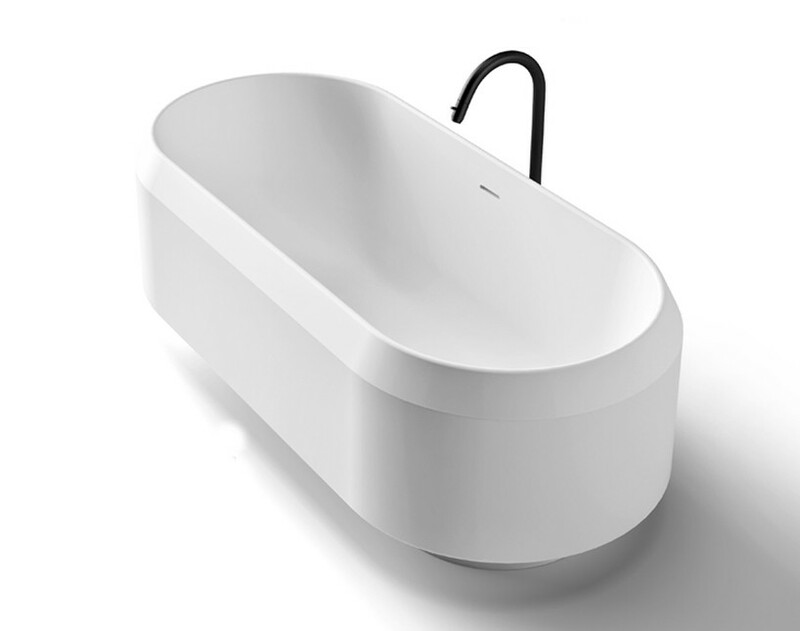 in appearance it contains one pure white basin supported by a a stainless steel tubular frame. the only hint of decoration is the supporting structure and overhanging tap. 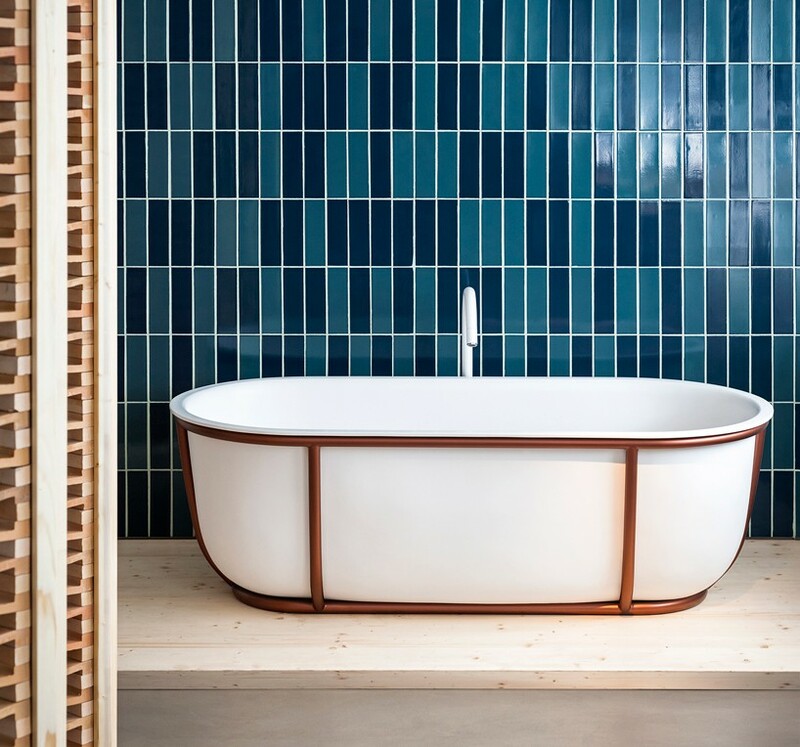 the designer strips down this bathtub down to its bare form, proving that less really is more. the designer draws upon traditional elements, however she is versatile in each bath tub she creates. ‘larian’ is distinctivly modern, presenting itself as a singular white body. the rim of the bathtub turns in at an angle, inviting the viewer to climb in and enjoy. a black overhanging tap confidently ties the design together, making a bold mark against the white. urquiola’s previous works for agape are also elegantly refined. her ‘pear’ series plays upon different colours on the external and internal underline surfaces. 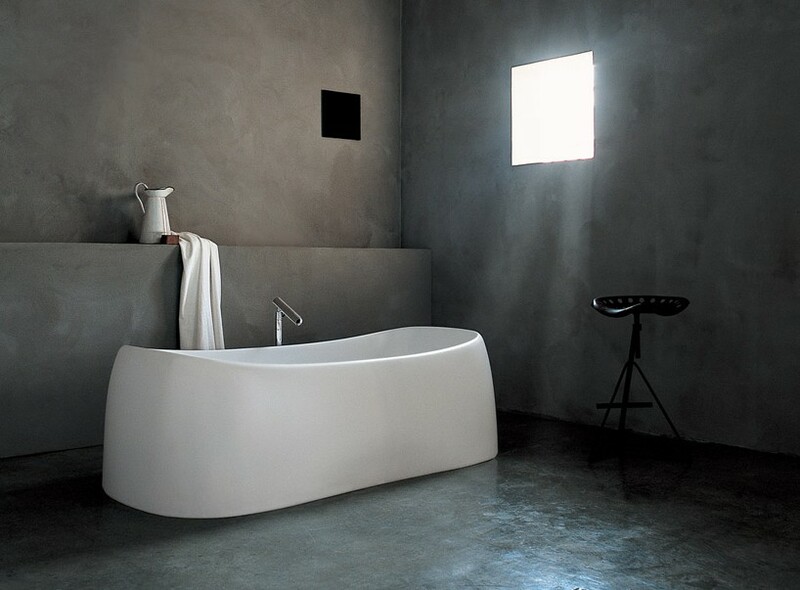 the bathtub in this collection expresses curved sweeping lines that brings the basins form into one complete entity. 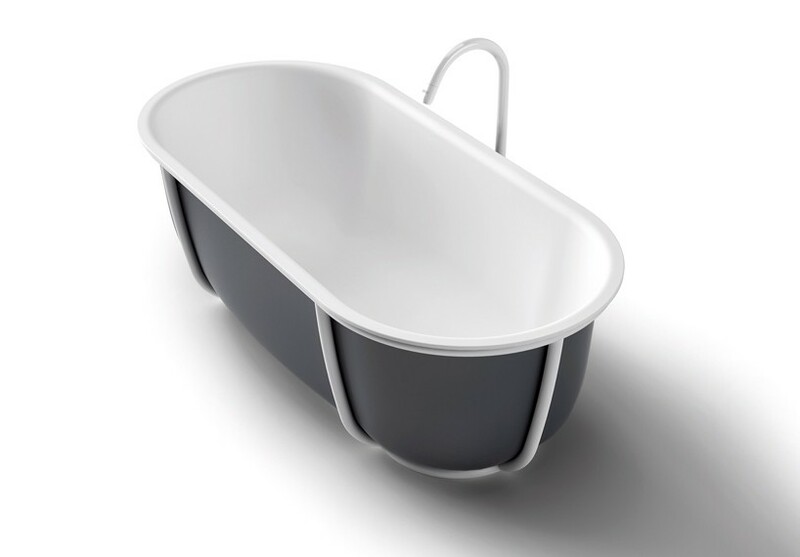 it is the most modern tub compared to her other designs. 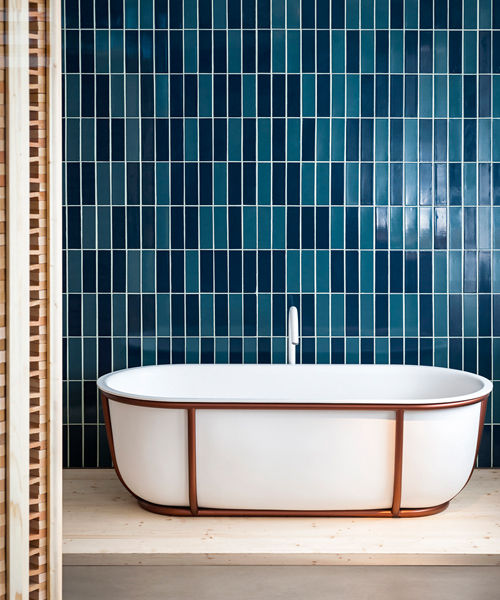 the ‘vieques’ in comparision revisits old fashioned bathtubs in a contemporary fashion. it is made from steel, available in a white or dark grey exterior. it is complimented with a teak shelf and backrest which can be mounted on top of the baths rim. as a whole the basin is a charming combination between ancient and modern. 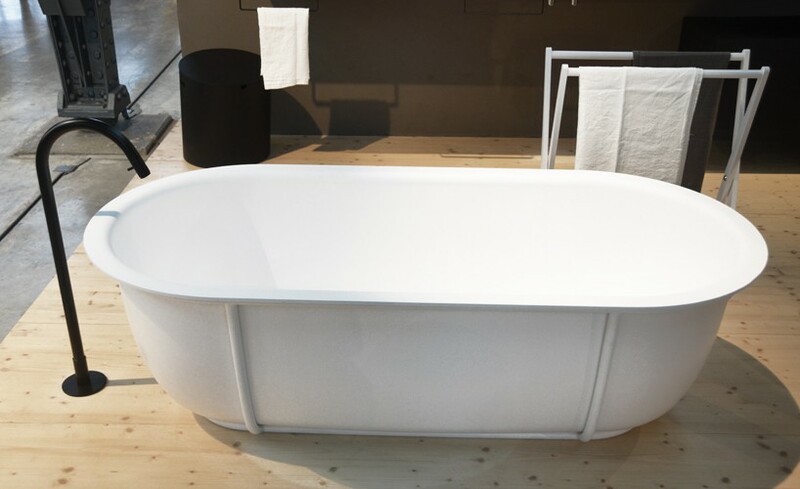 patricia urquiola presented her ‘cuna’ and ‘larian’ bathtubs at design post 2016.